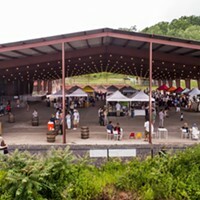 Earlier this year we broke the news that Upstate Smorgasburg would not return to Hutton Brickyards, so we’re sure you’re wondering what is happening on the epic waterfront venue this summer. We’re here to give you an update. Smorgasburg may be no more, but Hutton Brickyards isn’t giving up on presenting you with some delicious eats. 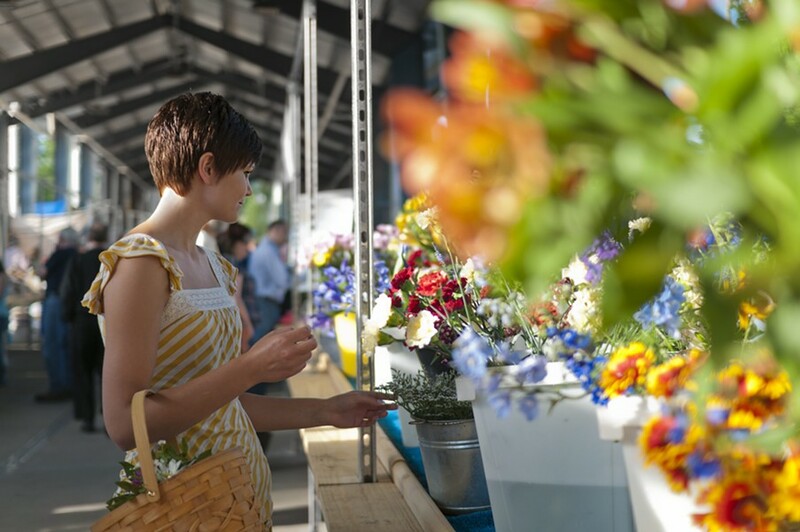 This July they’ll launch Hutton Fare, the newest food-filled vendor fair to grace the riverside. For one weekend per month, from July through October, food and beverages will flow across the lush, 76-acre venue in Kingston. 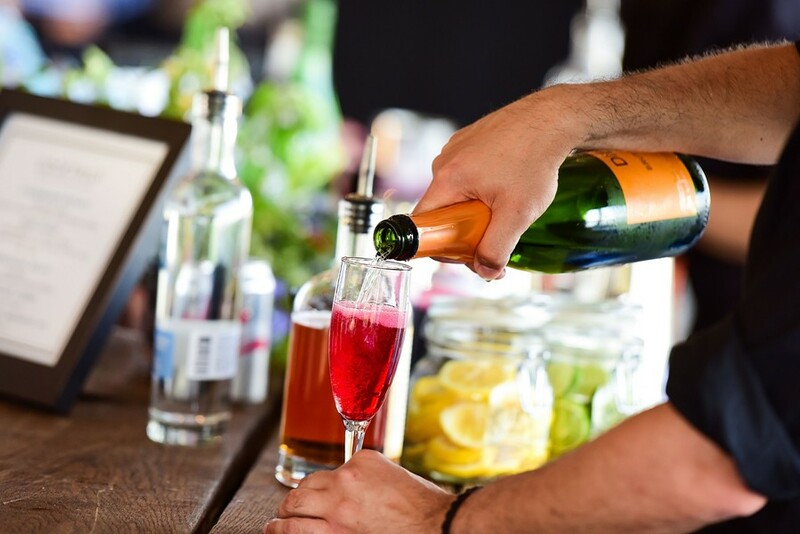 There will also be live music, booths selling crafts and other products, and a brand new, permanent bar with locally-sourced beer, cider, and wine—plus, cocktails crafted by mixologists Jeremy Oertel (formerly of Brooklyn’s bowtied speakeasy Death & Co.) and Natasha David (owner of Nitecap). The spiffy new bar is just one of the space’s several upgrades this summer. 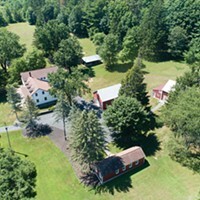 Buildings on the premise have undergone renovations, and so has the landscape. They’ve also added more facilities, including 26 new bathrooms stalls. Best of all, the venue has doubled its parking spaces and added a new shuttle location, resolving some of the major issues that plagued the sold-out Dylan shows). Hutton Fare is now accepting vendor applications (including those selling packaged food and beverage, jewelry, clothing, furniture, ceramics, housewares, and agricultural products.) The event hits Hutton Brickyards on July 21 & 22, August 18 & 19, September 15 & 16, and October 20 & 21. After Hutton Brickyards hosted two sold-out Bob Dylan performances last summer in collaboration with Bardavon Opera House, it became clear that the waterfront site had a future as an outdoor concert venue. In the process of figuring out how to bring more world-class musicians to the 3,500-capacity space, the Brickyards decided to partner with Poughkeepsie-based Bardavon for its 2019 concert series. Both Poughkeepsie-based Bardavon and its sister venue UPAC in Kingston have a long history of bringing high-profile music performance acts to the Hudson Valley. (This year's roster includes Andrew Bird, Kansas, Wanda Sykes, and Puddle's Pity Party). 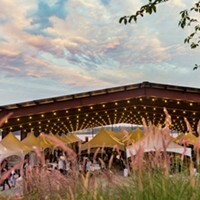 As part of its huge renovation, Hutton Brickyards added five dressing rooms for performing artists, a production office for event producers, and a catering prep kitchen. Alas, the music line up has yet to be announced, but we’re waiting with bated breath. Check back here for updates or follow Hutton Brickyards on Instagram. Glamping has become all the rage in the vacationing world, with many luxury tiny home destinations popping up in the Hudson Valley. Now, Hutton Brickyards can be added to that list. This month, Terra Glamping opened 25 new, cozy, Safari-style wall tents on the premise. 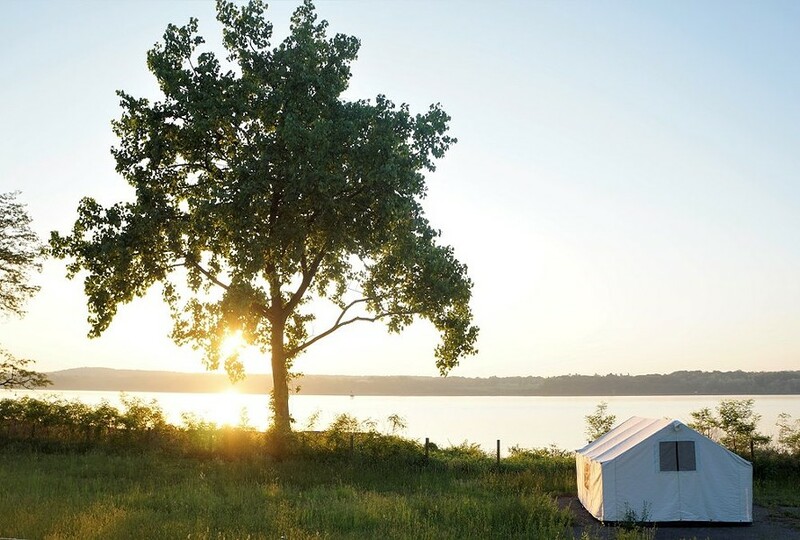 The tents sleep two to four people and include memory-foam mattresses, down bedding, and hotel room furniture—plus an unbeatable riverfront view. There’s also a lounge tent, bathrooms, and campfires on site. Reserve your Terra Glamping tent at Hutton Brickyards.